Following the meeting of the UN Security Council and the unanimous passage of a ceasefire resolution on February 24, in East Ghouta, at least 344 people have been wounded and 71 have been killed every day – totaling 4,829 wounded and 1,005 dead*. Still trapped in E. Ghouta are an estimated 400,000 people. Under pressure from the Russian and Syrian governments, the language of the ceasefire resolution contained many consequential loopholes. First, the Syrians said that they would interpret “civilians” in need of protection only as those who are not terrorists. Russia insisted that the ceasefire exist only within the window of 9am-2pm. 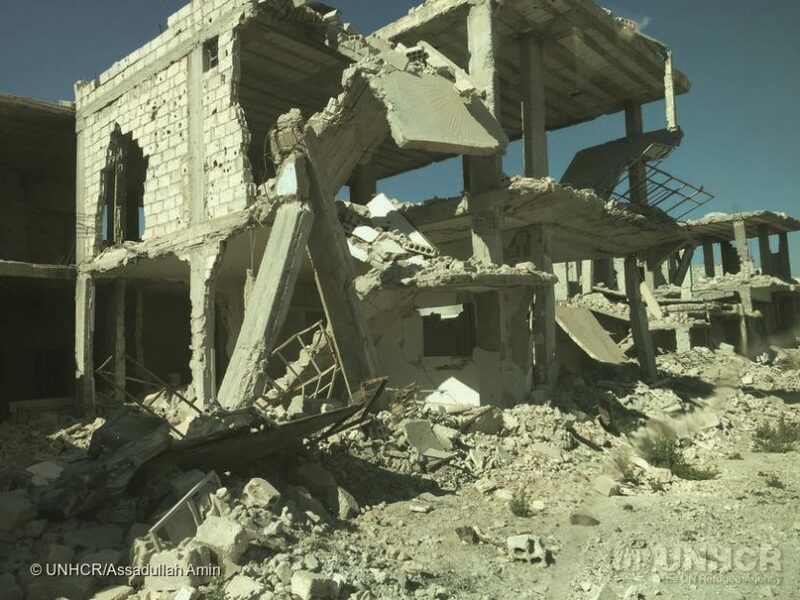 These two loopholes have made it impossible to protect civilians, deliver and offload supplies in the affected areas, and evacuate civilians in severe medical need. In the ten days since the ceasefire was announced, in the face of unremitting attacks by Syrian Government forces from the air and ground, only one UN convoy could be organized and batter through the rubble to reach E. Ghouta. Of the 46-truck convoy from Damascus on March 5, nine could not be offloaded before Syrian aerial bombardment resumed. Although some water, blankets, and food items made it into E. Ghouta, Syrian ground forces stripped and seized medical supplies from the trucks including first aid materials, trauma equipment, IV fluids, insulin, and other items vital to the resuscitation and support of those war-wounded and seriously ill. The checkpoints of the Syrian Government forces block exit from the war zone. Contesting that all civilians in E. Ghouta are terrorists, the aerial bombardment since the passage, but not implementation, of the ceasefire has been as, if not more, intense than prior to February 24. The death toll from this punishing rain of explosives has reached or exceeded pre-ceasefire levels. To people on the ground and observers, this UN ceasefire has become a farce. More deft diplomatic maneuvers are urgently required to widen the window for access, and to stop the indiscriminate bombings of this trapped population. And in the space that might be gained, more urgent humanitarian efforts are immediately necessary. *Data according to MSF accurate as of March 3. Local personnel are still bringing people to the hospitals and uncovering those who have died under the rubble.